MY3DPLANNER is afree 3D interior design softwarefor all, it allows you to simply and easily draw yourplans of rooms, apartments or housesand to personalize them with a library of furniture and finishes. MY3DPLANNER is used without downloading and installation, you can design, furnish, customize and visualize your architecture or decoration projects directly in your browser. 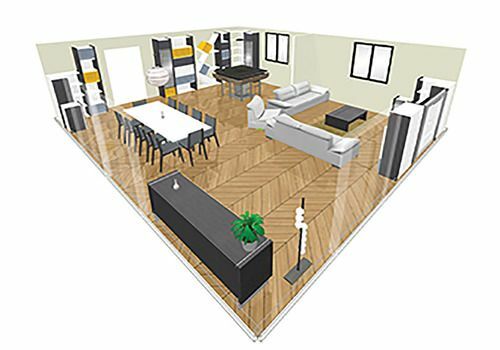 This free 3D architecture tool can be used to create plans for all rooms in the house (kitchen, bathroom, living room, bedroom, office, storage...) or more generally for real estate. Our3D real estate softwareis also a great sales tool that makes your project real and helps you convince your customers. You can thanks to ourplan drawing toolshow your customers how his future interior project will be! Cedreo is a 3D architecture software to assist in sales for home builders and building professionals. Cedreo was designed to reduce design time during the preliminary design phase. Whether it is for a move or simply to change your interior decoration, Space Designer 3D helps you to redesign your space and see your interior decoration in 3D, without moving a single piece of furniture! Send your house plans to ArchiFab and receive your 3D house model within 48 hours.